Johan Borg (Max von Sydow) is a painter who mysteriously vanished from his home on the Frisian Islands, off the coast of Germany. Via testimony from his wife Alma (Liv Ullmann) and Borg’s own diary, this film attempts to portray the days leading up to the disappearance. Ingmar Bergman is one of those directors who, before undertaking this list, I’d heard as being one of the greatest film-makers of all time, but I’d never seen any of their work. So far I’m three films in (this, Winter Light and Through A Glass Darkly) and as yet I don’t get any of the appeal. None whatsoever. I’m not writing the guy off on these three films alone, mainly because there’s at least six more of his films to go on my lists, but so far I’ve been left wanting more, and Hour of the Wolf taking a turn more along a Luis Bunuel path does not bode well for this review. We start out with Alma leaving her house and coming over to sit down and talk to the camera, or the person operating it, about her husband, their life, and how happy they were living alone on this island, cut off from everyone, before cutting to show us some of this life. They used to be happy, certainly, but recently Borg’s temperament had become morose and there was some unexplained tension between them. Not explaining things will soon become a theme of this film, as indeed will the watching of it become interminable. There is literally a scene where Borg expresses distaste at how long a minute can last, so we then sit there as he times out a minute on his watch, occasionally remarking on how many seconds have passed. Alma is in the background, looking like she might say something but never actually doing so. Borg concludes the ordeal by announcing “And now the minute has passed,” and it’s a minute that none of us will ever get back, so thanks for that everyone, much appreciated. This is one of those films where there are many elements that might be from a dream, might be some weird vision, or might be entirely made up. Some, such as a man inexplicably developing the ability to walk on walls and the ceiling purely from the intensity of his own despair, are probably fictional. Others, such as an altercation Borg has with a young boy whilst fishing, could be anything, and a modicum of explanation – who this boy is, why are they fighting, why is this score ramping up like in Psycho whilst Borg winds in his fishing reel – would have been appreciated. 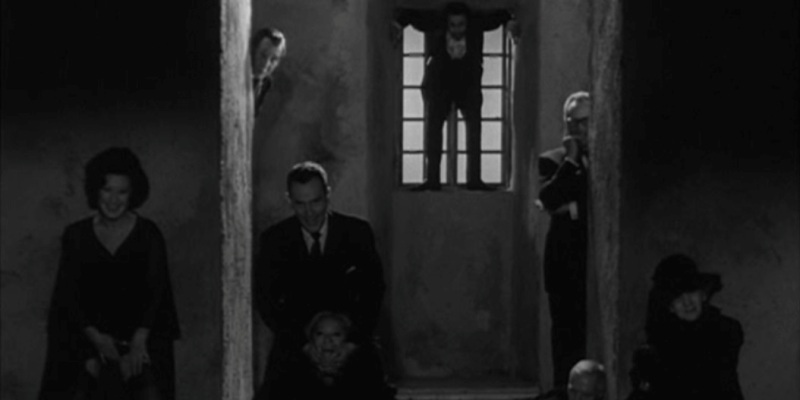 The third act sees Johan and Alma invited to dine with a collection of aristocratic odd-balls also apparently residing on the island, and the majority of this segment seems to involve them all trying desperately to make Johan copulate with his former lover and muse, Veronica Vogler (Ingrid Thulin). Johan seems to have no problems with this proposal, and is even willing to literally kiss an old woman’s foot if she’ll pass on vague information regarding Vogler’s whereabouts. Other than its near comatose pacing, I didn’t entirely hate the opening half of the film, and was at least a little intrigued as to what became of this painter, but what passes for a resolution here is incomprehensible, unsatisfying and just plain weird. 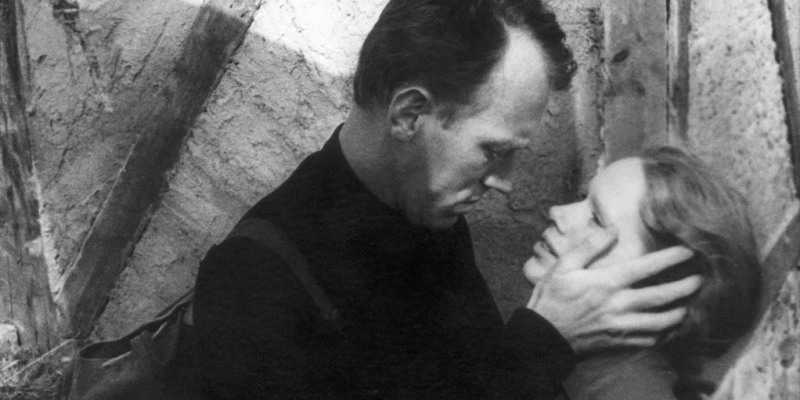 This entry was posted in 04/10, 1001, Choose Life, Review, The List and tagged Hour of the Wolf, Ingmar Bergman, Liv Ullmann, Max von Sydow by jaycluitt. Bookmark the permalink.